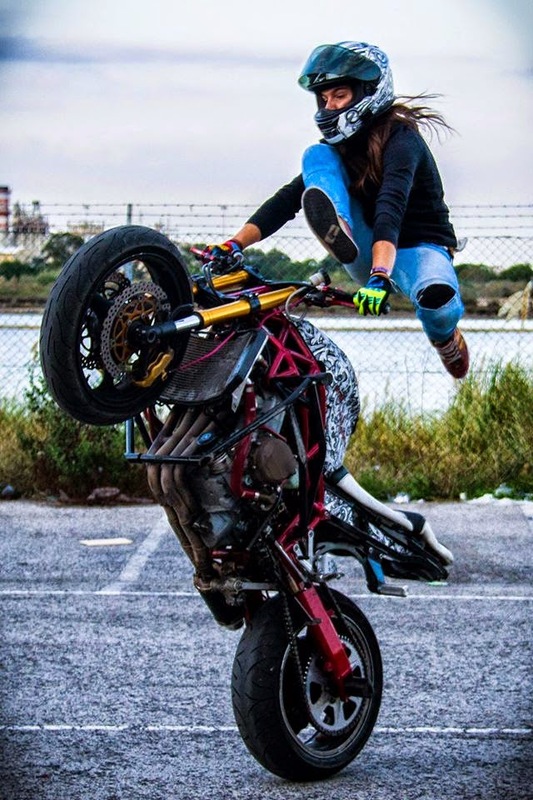 I just have watched this stunning video of Sarah Lezito, a 22-years-old girl who loves and fashionate of motorcycle and stuntwoman of her bike. I was amazed of her stone while I watching as I scared looking of her from being fall but look at her she's really a pro. A stunt that could hardly copy the moves. A girl can do more as I expected. Ayoung pretty can drive a motor bike is really lovely. Here's the Sarah Lezito stunning video. For videos only here in Rider's Digest! Good stunt bike Thanks for sharing nice pic .